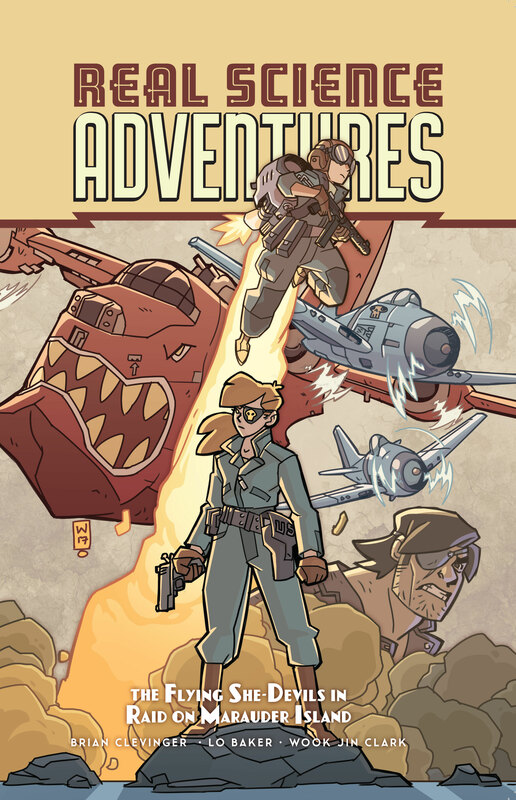 Produced by Tesladyne as a Kickstarter product, this hardcover edition of Real Science Adventures: The Flying She-Devils in Raid on Marauder Island includes the complete Marauder Island story, as well as an adventure of the intrepid British agent, Sparrow. This volume also includes excerpts from the Secret Files of Majestic-12, not available in the softcover. 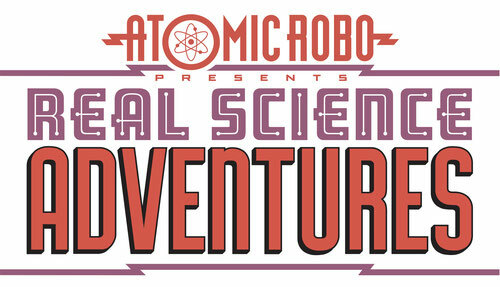 Atomic Robo gets up to all kinds of sci-fi shenanigans in his travels. 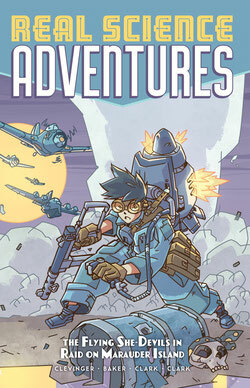 Along the way he meets a variety of side characters that have their own lives with their own rich histories and crazy exploits. Here are those tales. A group of Women Airforce Service Pilots banded together after World War II and became the daring "Dlying She-Devils." Since then, food and fuel are in short supply, but the She-Devils have a plan: take it from Mad Jack the Pirate King. What could go wrong? Well, everything! Also featuring Britain's top spy, The Sparrow, on a mission to save the Allies from the German Wonder Weapon Project, MILLIPEDE!